Dr. Edward Herman is a radiologist from Flagstaff, Arizona. He has been practicing medicine for the past twenty years. He graduated from the University of Arizona College of Medicine – Tucson and he completed a residency in radiology at St Joseph's Hospital and Medical Center. He is a board-certified specialist in diagnostic radiology. 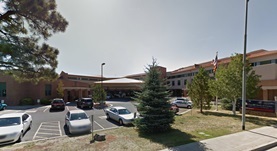 At the moment, Dr. Edward Herman works for the Flagstaff Medical Center.